Chris Bailey, Vice President for Turner Industries, has been a part of the Paris, TX community for a little over a year now. 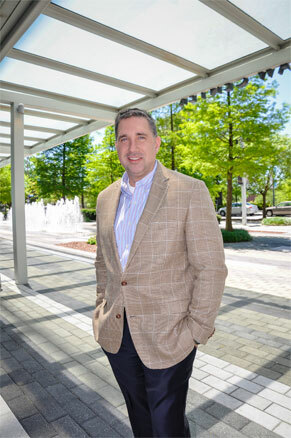 Bailey came from North Carolina to Paris to take on the position as VP for TI after working with Control S. Incorporated for more than 12 years. The old saying is true of Bailey, he may not be from Texas, but he got here as soon as he could. Turner Industry of Paris is a prefabrication piping facility for refineries and energy sectors. They are kind of a big deal in the oil industry. They currently employ 600 people and growing. Bailey stated that what is important to him is also important to the company. “The company reflects their values and character traits such as integrity, honesty, loyalty to its employees and being fair to all customers. It’s also a customer centered company and all of these values are exemplified throughout the company from the President, the CEO and down to each employee. After being in this type of business for 28 years, this is a rare find for Bailey. The future looks bright for TI as they just completed a new office building, hired 160 new employees, looking to add another hundred soon, and they are positioned for the next turn of the oil market. “We are always looking for opportunities to expand, and to position ourselves to do so. As market turns around – we always look for new things that will positions ourselves for a new fit. There’s land to grow here and we require a lot of footprint – and to have that as an option is a big deal.” said Bailey. (903) 784-6964 or visit parisedc.com.